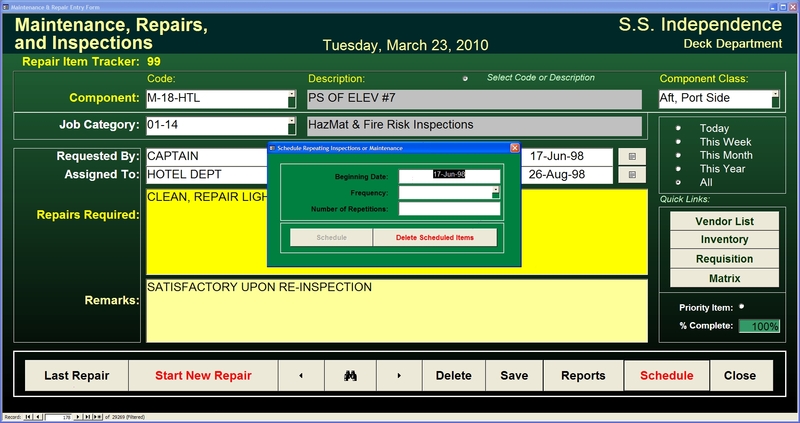 The software maintains a searchable database of all requested/completed repairs, inventory (used, onboard, or on order), vendor lists, part numbers, etc. Maintenance and inspection items can be scheduled months, years, or decades in advance and each item will then be listed on all “outstanding items” reports until they have been completed. This results in a continuity between personnel changes onboard as well as insuring that all company directed M&R programs are carried out as intended. Outstanding and/or completed job reports can be queried according to Job Category, Requested By, Assigned To, a specific Work Item, or any combination of these categories. 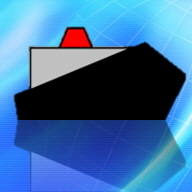 Unlike some maritime M&R software applications, AMDS-ops scheduled tasks can be entered by any user, not just the home office. This allows for dynamic data entry and results in a more thorough and complete history of all inspections and repairs for every item tracked.